We are happy to announce our winter special offers to celebrate the end of the year: save from 15 to 30% on any of our audio plugins and bundles! The offer is valid only until December 31st, so don't miss it! Existing customers (prior to this announcement) are granted 40% discount on the entire catalog: check your emails! We are pleased to announce that Zynaptiq is licensing our audio plug-ins development kit to port their UNVEIL plug-in to multiple platforms. Zynaptiq's recently announced UNVEIL 1.5 update is a major rework of their unique realtime de-reverberation and signal focusing plug-in based on artificial intelligence powered de-mixing. Thanks to Blue Cat Audio's technology, it is now available on both Mac and PC, in VST, Audio Unit, AAX and RTAS formats and includes multiple new features and enhancements. "When we were evaluating our options for bringing UNVEIL to more formats and platforms, we were determined to settle for nothing but the very best solution." said Denis H. Goekdag, CEO of Zynaptiq. "Well, we have found exactly that at Blue Cat Audio. Their Kitty SDK is highly functional as well as rock-solid, and their development team combines profound know-how with high efficiency and reliability - a perfect match for our state-of-the-art technology." Please read the full press release for details. More information about our technology licensing program is available in the Consulting section. We are happy to release Blue Cat's StereoScope Multi 2.0, a completely new version of our unique multiple tracks stereo field analyzer. The upgrade is free for users who have purchased the plug-in in the past 6 months, and others will receive an offer by email to upgrade for a very special price. 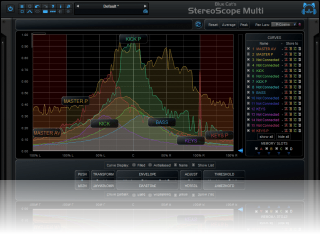 If you do not own the plug-in yet, try it out: you can purchase Blue Cat's StereoScope Multi 2.0 with 15% discount, or get one of our discounted analysis bundles until the end of November! 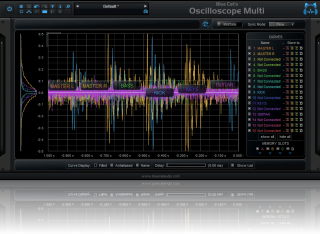 We are happy to unleash Blue Cat's Oscilloscope Multi 2.0, the new version of our unique multiple tracks oscilloscope plug-in. The upgrade is free for existing customers who have purchased the plug-in in the past 6 months, and a very special upgrade price is available for others. Check your email! If you do not already own the plug-in, check it out: you can purchase Blue Cat's Oscilloscope Multi 2.0 or the updated Blue Cat's Multi Pack bundle with up to 15% discount until the end of November! Blue Cat's Digital Peak Meter Pro Overview and Blue Cat's FreqAnalyst Multi Review are complete and detailed introductions to two of our analysis plug-ins. This tutorial to help static vocals pop and this video showing how to compare masters will help you improve your production techniques. Watch out! Be ready to deep dive into our plug-ins for almost one hour and a half! If you want to win free licenses of our plug-ins and be listed on our website, please send us a link to your own videos featuring our plug-ins! 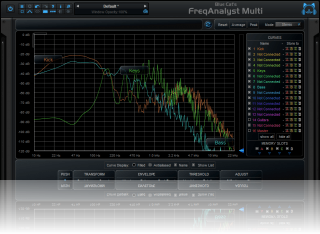 We are happy to announce Blue Cat's FreqAnalyst Multi 2.0, a brand new version of our unique multiple tracks spectrum analyzer. The upgrade is free for users who have purchased the plug-in in the past 5 months, and a special upgrade price is available for others. Check your email! 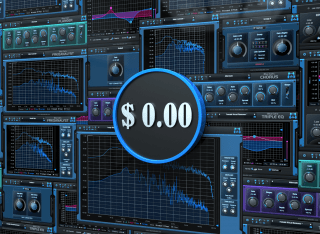 If you do not already own the plug-in, check it out: you can purchase Blue Cat's FreqAnalyst Multi 2.0 with 15% discount until the end of the month! 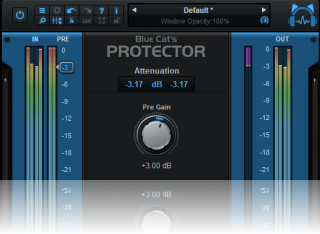 Please welcome Blue Cat's Protector 2.0, a total rethinking of our brickwall limiter. If you do not already own the previous version, check this one out: you can purchase Blue Cat's Protector 2.0 with 25% discount for three weeks only! If you already own Blue Cat's Protector 1.0, check your email: you will receive a special upgrade offer shortly. Blue Cat's Free Pack II has been updated. This new version mainly fixes a few issues for Pro Tools users on Mac: if you were encountering problems with the plug-ins in Pro Tools 10 on your Mac, you should download these new versions. This new release also brings minor performance improvements on other platforms. And if you haven't tried them yet, check out these plug-ins: the whole package is still 100% free! We are proud to announce the release of Blue Cat's Free Pack II, a complete redesign of our free plug-ins bundle. Looking for older news? Please consult the 2011 News page.